Hi, I'm Karen and I have been running classes in the Lisburn areas since 2002. Prior to Jo Jingles I was a Primary School Teacher for 16 years. I taught infants and also have a certificate in Early Years Education. I am passionate about working with young children and introducing them to the benefits of music from an early age. I love my job and am delighted to have won 6 awards for my work with Jo Jingles, including the Lisburn City Business award for Excellence in Customer Service. 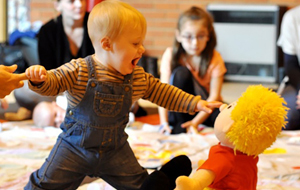 I believe the Jo Jingles programme contributes something invaluable and lasting to a child's early years. It's thrilling to be part of that! HI, I'm Carol. Having attended Jo Jingles as a mum, I saw the benefits which the classes offer and I became a class teacher in 2006. I love watching the babies progress from the class at 3 months, all the way up to 3-5 year classes when they are introduced to our fun music theory sections. I get to see their confidence and social skills develop while having lots of fun myself! Hi, I'm Caz. I grew up in England, went to university in Scotland and moved to Northern Ireland 17 years ago. I have been attending Jo Jingles as a mum and a class teacher since 2002! My 3 children are musical and it all started with Jo Jingles. I am a singer/songwriter in my spare time and have recorderd my own CDs. 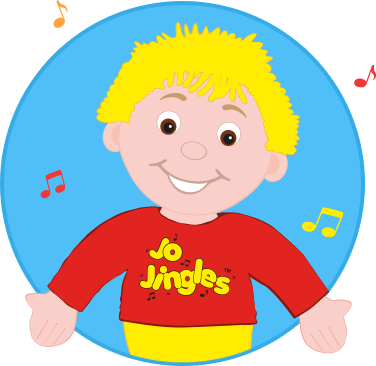 I love the fun, educational value and musical interaction which Jo Jingles offers. Hi, I'm Alicia. I am originally from the Caribbean andt Northern Ireland has been my home for many years. 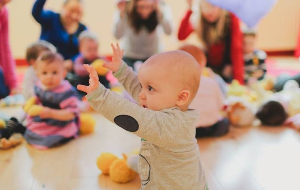 As a physiotherapist I love Jo Jingles classes and the opportunity the children have to move around, exercise and develop skills like balancing and co-ordination while building up their core strength and all with music! I am a singer too in my spare time. 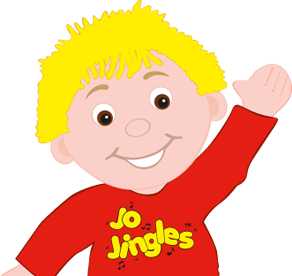 Booked a Jo Jingles session for a Family Nurse Partnership event, in fact this is the second time we have booked Jo Jingles for an event. 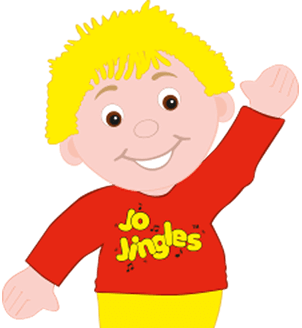 Booked a Jo Jingles session for a Family Nurse Partnership event, in fact this is the second time we have booked Jo Jingles for an event. What a fabulous way to stimulate speech, language and social skills! All the toddlers and babies loved it....and I do believe the parents did as well! Such fun and very highly recommend attending one of the classes or booking for an event! My three children are now 6, 8 and 10 years old and the eldest started attending Jo Jingles classes when he was six months old. My three children are now 6, 8 and 10 years old and the eldest started attending Jo Jingles classes when he was six months old.I think my second child still holds the record for being the youngest ever baby to attend a class at three days old!! My children just loved Jo! I couldn't keep them away and for seven years our house was full of happy songs and our car CD player only contained Jo Jingles music. Everything about Jo Jingles is great. The fact that classes are accessible and friendly and affordable. The fact that every week is themed and there is a mixture of firm old favourite nursery rhymes alongside fun new children's songs. The fact that it is highly educational, well structured, carefully planned and thought through.it is fun for adults as well for children and is an excellent way to spend a quality 45 minutes with your child. I cant praise it highly enough. My children benefited tremendously from attending classes. They learned how to sit and listen, how to participate, share and follow instructions ( and all this before they were barely able to walk!) They learned how to play percussion instruments, in time with the music and when to start and stop. To play quickly and slowly, loudly and quietly. As they progressed through the years they started to learn some music theory and were exposed to classical music and things like harmony. All of this I believed contributed to my children being early talkers , excelling at school and being very musical. My 8 year old is about to sit grade 1 music theory and grade 2 piano. The 10 year old is also playing piano and has been told he has potential to become an excellent drummer. The 6 year old is playing piano and loves to sing and can also hold his own on a drum kit. They all love rhyme and rhythm. Music features loud in our house! It is true that we are a musical family and my children were always likely to have developed an interest at some point. But without Jo Jingles I doubt it would have happened so early. The classes gave all my children confidence in a group setting ( which definitely helped them when they went to playgroup and later school) and reinforced so much of what they were learning at home - numbers, colours, alphabet, days of the week, animals, vehicles, etc etc etc. Jo's repertoire is vast and hugely entertaining. If you havent done so yet,get yourself down to a class today! My son Nicholas was a late talker, very shy and wary of strangers. He was diagnosed with such severe glue that it was believed he didn't hear much of the time. He had vents inserted at age two and a half, and although his hearing improved instantly we found that his sensitivity to noise was debilitating and he became extremely anxious. It was then that we enrolled Nicholas with Karen at Jo Jingles. He found such a wonderful delight in the music, his vocabulary improved dramatically with the songs and weekly themes, and furthermore, he found something that he was very good at, helping his confidence increase immeasurably. Even being in the same room as a hair dryer was difficult and hoovering had to wait until he was outside. Through Jo Jingles,Nicholas has found an exciting environment to explore noise of differing levels. Nicholas recently got a junior drum kit and loves to put on little 'shows' for the rest of the family. Nicholas, now 4, has a great love of music and Jo Jingles is the highlight of his week. When asked what he is going to do when he grows up – he is going to marry Karen Welsh and dance and sing all day! Thank you Karen, and thank you Jo! I must say that since Robert started attending your classes at the start of this year we have seen a considerable improvement in his social skills, and his love for music has certainly increased dramatically. My daughter Chantelle McAteer aged 5, has been going to Jo Jingles Class from she was 3 years old. My daughter Chantelle McAteer aged 5, has been going to Jo Jingles Class from she was 3 years old. She absolutely loves it I just want to "sing" my praise for the Class teacher, Karen Welsh. We have noticed that Chantelle's confidence with Music and in Singing and Dancing has grown and for this I thank Karen and Jo Jingles. Moira classes have changed venue!